Clarence Mummart passed away on December 2, 1959. He was kind of a utility fielder, serving the church in a variety of capacities. Two different terms as bishop, 1921-1925, and 1937-1941. Two stints as president of Huntington College, 1912-1915 and 1925-1932. Two stints as editor of the denominational newspaper, the Christian Conservator, 1909-1911 and 1917-1920. One term, 1905-1909, as general secretary of UB Christian Endeavor. Mummart was born in 1874 in Franklin County, Pa. His ancestors came from Germany about the same time as William Otterbein. During his formative years, the Macedonia United Brethren church was being built near their farm in Greencastle, Pa. Young Clarence began attending. Mummart sensed a call to ministry as a teenager, but didn’t pursue that call until 1896, when he was licensed by Ebenezer UB church in Greencastle. By that time, he was married with three children, and had been teaching school. Bishop Milton Wright was presiding a year later when Mummart was granted an annual conference license from Pennsylvania Conference. He was ordained four years later by Bishop Horace Barnaby. Mummart had a somewhat strange, twisting career, with education and the ministry intertwined in various ways. He was clearly immensely talented, particularly as an administrator. Arguments could be made that he had a short attention span, or that he lacked a clear calling to any one thing, or that he didn’t really know what he wanted to do with his life. Or, you could argue that he just made himself available to be used wherever the church needed him. 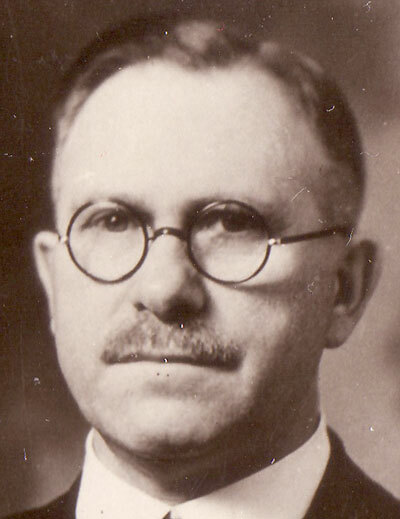 Mummart pastored in Pennsylvania until 1903, when he began two years as pastor of College Park UB church in Huntington, Ind., followed by other pastorates in Indiana and Ohio. In 1905, he was elected to the newly-created role of General Secretary of Christian Endeavor. After four years, he reported that 104 CE societies had begun. He was re-elected in 1909, but he resigned to become editor of The Christian Conservator. In 1911, he joined the faculty of Huntington College (then called Central College), and chaired the Department of Theology 1911-1917, and then 1919-1920. For three of those years, 1912-1915, he was the college president. Curiously, Mummart spent the 1920-1921 year as Superintendent of Schools in LaCenter, Kentucky. The 1921 General Conference then elected him bishop, even though he had seemingly left the ministry. Maybe it was the only way to recover this immensely talented man. Mummart left the bishopric in 1925 to become president of Huntington College. He was re-elected bishop in 1929, but resigned to continue as HC president. But General Conference persisted, and elected him bishop again in 1937. This time he accepted, though he simultaneously pastored a UB church in Greencastle, Pa.
Mummart died at age 85 and was buried in the cemetery of Macedonia UB church, where he attended as a boy. His obituary in The United Brethren magazine emphasized his leadership abilities.